Christmas is just about a month away and it's time to start thinking about gifts for friends and family. 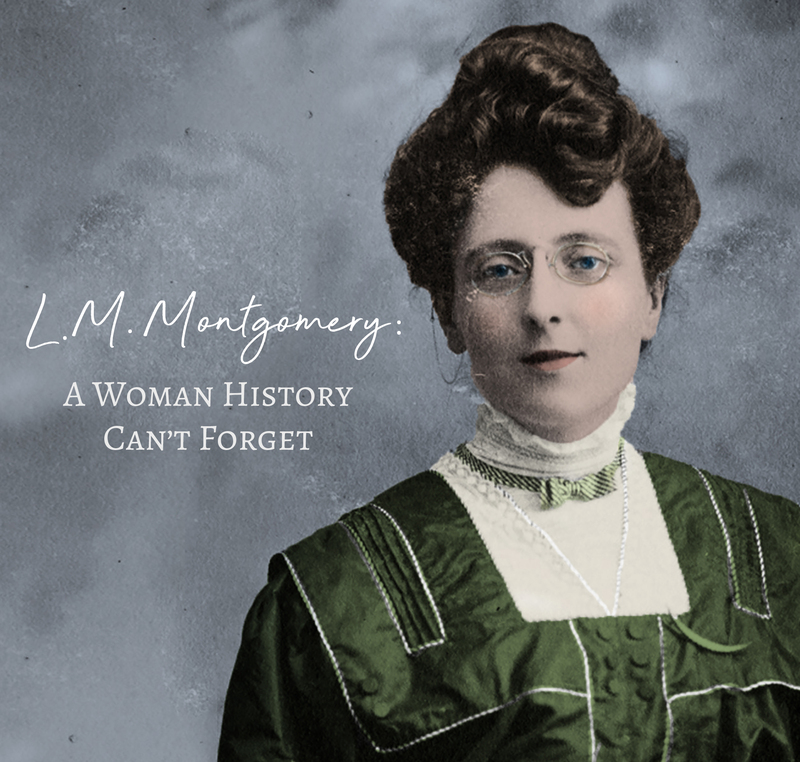 If you are shopping for a fan of Anne of Green Gables (or are a fan yourself) you're in luck! We’ve curated a list of products that we think stand out this year and would make perfectly unique gifts for a special person in your life. 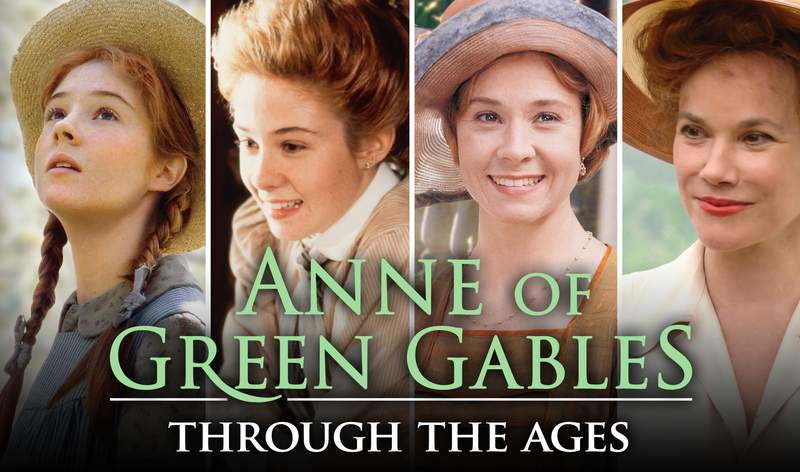 The Apothecary Set is perfect for the ultimate Anne of Green Gables fan. Each set comes in a lovely blue box with tailored gold lining. 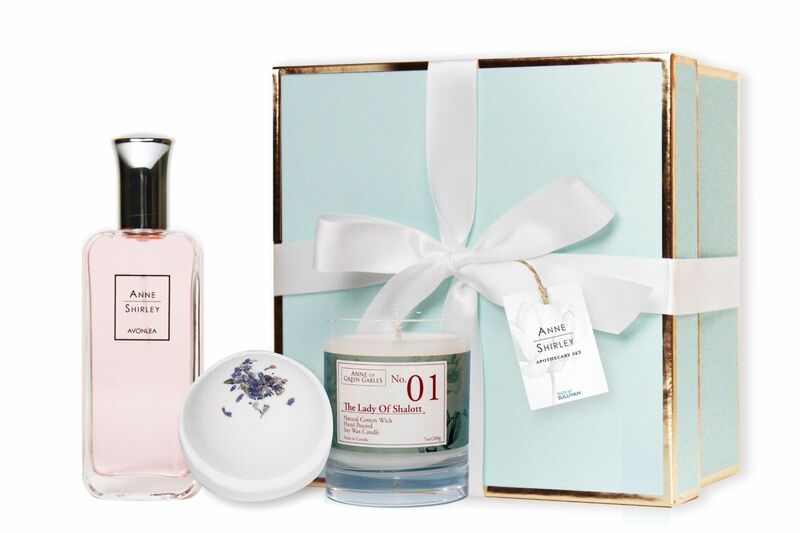 The set includes an Anne Shirley of Avonlea Perfume: A fresh and floral scent. The lady of Shalott candle: made from soy and scented with naturally sweet notes of current and thyme. An Anne of Green Gables lavender Bath Bomb: made from all natural ingredients in Toronto, Canada and scented with Lavender. This set is elegant, yet personal and we know that any Anne fan would love it! 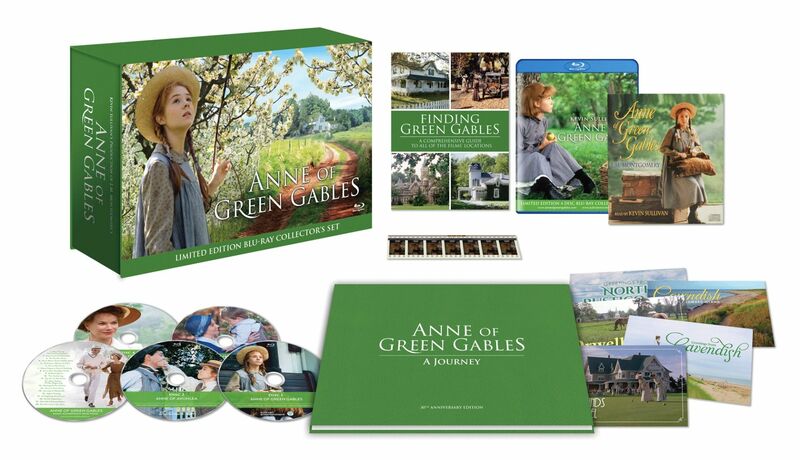 The Anne of Green Gables Blu-ray set is the number one gift for any fan of Anne of Green Gables! This set comes with the restored Blu-ray version of all four films (unavaialble anywhere else), a ardcover souvenier book, a 35mm Filmstrip souvenir from the original theatrical release print, the original soundtrack CD, an audio-book Read by Kevin Sullivan and a guide to all the filming locations in the movies. This collectible is the perfect gift for someone who is obsessed with all things Anne. True fans of Sullivan’s Anne of Green Gables will love this soy based candle. With notes of current and thyme, The Lady of Shalott Candle is as lovely as the poem it’s named after. This candle makes for a unique gift and is only available on Shop at Sullivan. Looking to give something a little more functional, but still Anne of Green Gables Inspired? 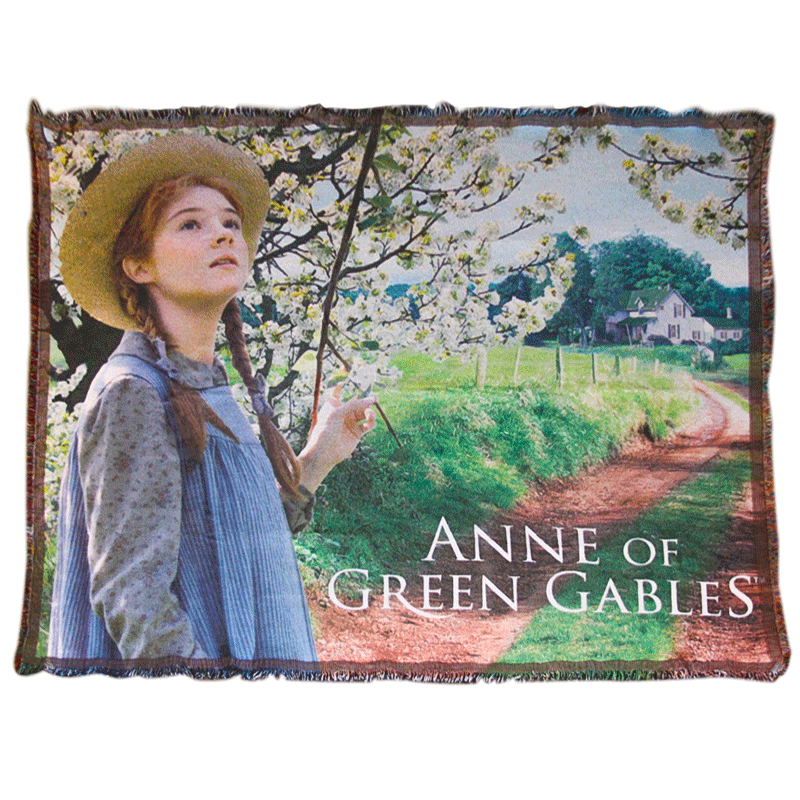 The Anne of Green Gables Woven Blanket is just the ticket! This 50"x60" throw will keep you comfy and cozy while relaxing at home after visiting with friends and family all day. Featuring the iconic image of Anne staring whimsically towards her future, we are sure this blanket will become a treasured home décor staple for anyone who receives it. Brand new to Shop at Sullivan, just in time for the Holiday Season, The Cracked Slate Face Scrub is a decadent treat that leaves you skin feeling silky smooth and refreshed. This all-natural scrub, made in the rurales of Ontario, not only smells divine, it comes packaged in a cute nostalgic jar.This product feels like it could have been made from a recipe straight from Avonlea. 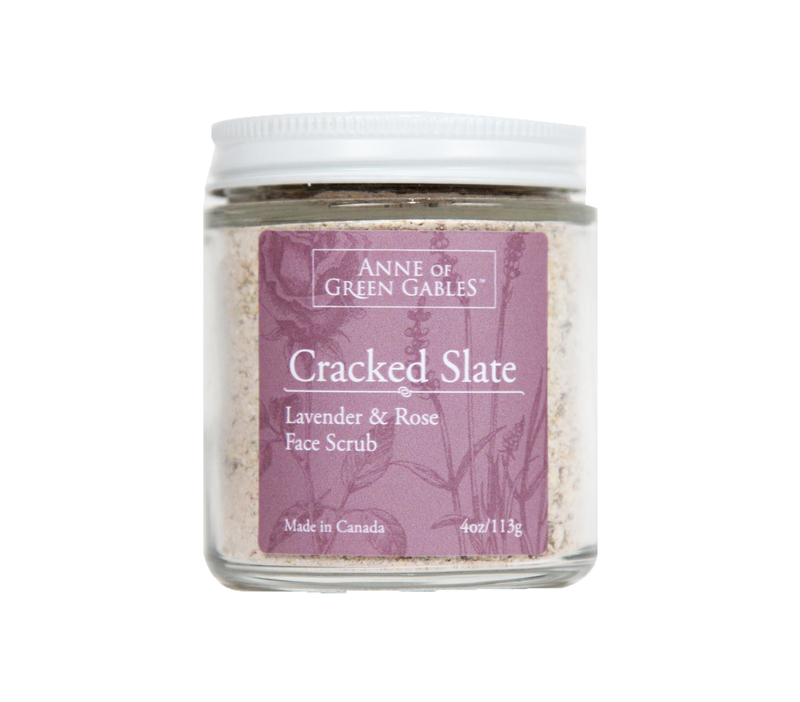 Unique and inspired, the Cracked Slate Face Scrub makes a wonderful gift or stocking stuffer. 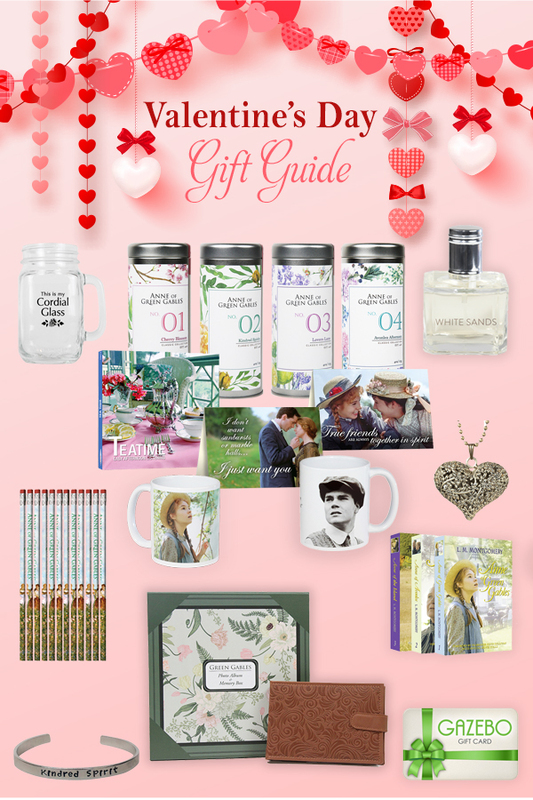 Are you inspired with gift ideas for the Anne fan in your life? Or maybe we’ve listed something that you find yourself wanting. Find all these products and more Anne-tastic products on Shop at Sullivan.